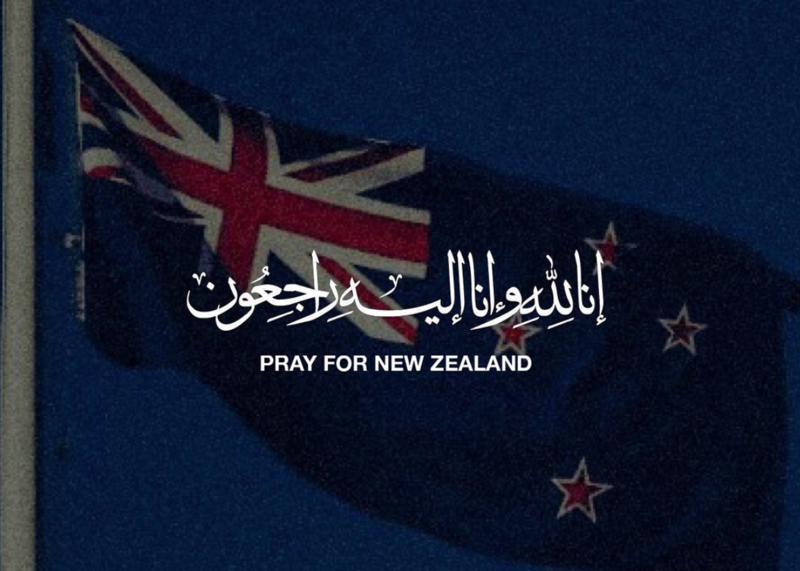 On March 15, 2019, up to 50 Muslim worshippers have been killed in Christchurch, New Zealand, during Friday prayers at two separate mosques. I’ve never felt so heartbroken over an attack before. Maybe it was because I was living in my little Doha bubble, shielded from the rest of the real world, or because I was too young to fully understand the complexity of these situations. The entire day, I was in such a strange headspace. I knew I was feeling sadness, but what else? Was it shock? Surely I couldn’t be shocked over this when Muslims are constantly being persecuted around the world for practicing their religion. Throughout the day, more information trickled in. The terrorist livestreamed the massacre on Facebook (out of respect for the dead and the families of the victims, please do not watch this); an Australian Senator blamed immigration for the attack, and cited Islam to be the “religious equivalent to fascism”; and the 17-year-old boy who egged that Senator, got punched in the face. More and more artwork was being produced. Each one beautiful, and speaking volumes through a simple drawing. People around the world were coming together through art. What frustrated me the most was the response of certain Western outlets. The monster who committed this crime was called a “shooter,” and not a “terrorist.” The murders were called an “attack,” not a “terrorist attack.” One outlet referred to him as a “blonde boy” whose “dad died of cancer.” Why were they trying humanize him? Why were they trying to make us sympathize with this sick terrorist? Is it because he’s white? If the perpetrator was a Brown person, or God forbid a Muslim, can you imagine the entirely different narrative that would be put out? Politicians refused to mention that this was a terrorist attack against Muslims. Terrorism does not pick its religion. These public figures claim to want to fight terrorism whenever there is an attack where white people are affected, but how about showing the same level of commitment when minorities are affected? On Tuesday, I wrote a Facebook post expressing my concerns over growing Islamophobia within political parties, and how this fuels hate crimes. Three days later, this massacre happens as a result of institutionalised and structural Islamophobia. This time last year, I experienced an Islamophobic incident myself, when an ex-friend said to me, “10 points if I rip off your hijab.” These events are traumatic and triggering, so we need to be there to support our friends. But this is not about the media, or the politicians, or me. This is about the victims. The innocent Muslim lives that have been lost. The families that have been torn apart. The children who will grow up not knowing their parents. We can unite together through love, and kindness. At the centre of Islam is peace. We will not let hatred and oppression, in any form, win. Islamophobia is real; do not normalize it. Do not trivialize it. To my Muslim friends, your lives are worthy and valid.